Figure 1. 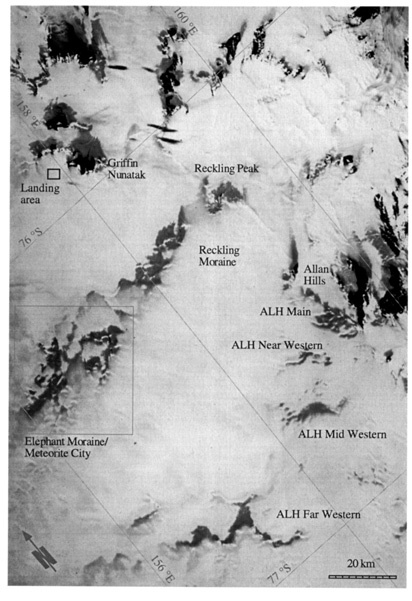 The Allan Hills/Elephant Moraine Area, Antarctica, visited by ANSMET during the 1996-1997 field season. All icefield names are informal designations and unoffical.